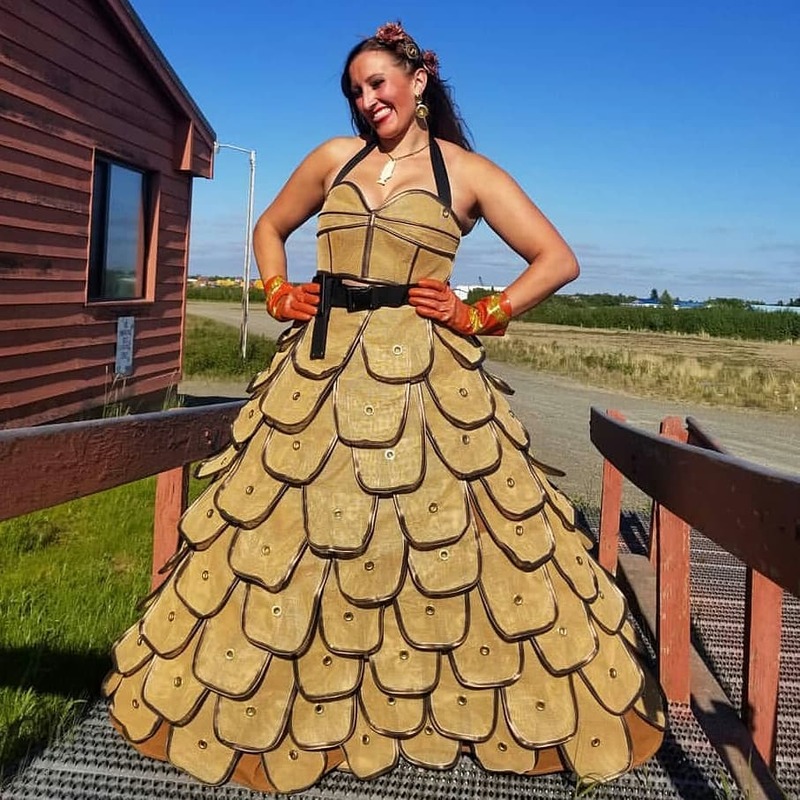 Bristol Bay has a style of its own...from the rain gear on deck look to your going to town ensemble, the 2019 Fashion Show will bring the hottest looks of the Bay to the Expo stage. We are celebrating Wild Grown and it is our theme for our wearable art showcase. We look forward to seeing all the art coming out of our wild. One of the biggest fundraising aspects of the Bristol Bay FISH EXPO, the live auction offers up an opportunity to bid on generous donations that include clothing, equipment, services and more. Check out the catalog button below to see what's new and the donate button below for your own unique contribution. Maximum visibility comes from the earliest date you are able to offer up your donation item. Apparel: Bay friendly, as well as uptown style. Please keep coming back to check our auction catalog for items being donated. Beautiful Wearable Art piece by NOMAR the 2018 Fashion Show sponsor. Please contact us if you are modeling or contributing merchandise. We are currently accepting donations of classic brands and original designs to model in this event. All donations will be items in our Live Auction Event.